Internet marketers play mind tricks – or at least they like to think so. The problem is, they don’t always work. Take the “look at me on the beach” sales page. This shows the Internet marketer on a lounger with laptop in hand next to some story about the fact that they used to be like you, penniless and searching for their fortune. Then they seemingly stumbled across a “secret system” which means they can now lie back sipping cocktails on the beach. All you have to do is pay them $97 and you can learn the self-same “secret” and you too can give up the drudgery of trying to scratch a living and spend the rest of your life on the beach. Beaches do not always appeal, of course. So you find the same Internet marketers also showing themselves by their new Ferrari or outside their wonderful, idyllic home. One way or another, they believe, they will find some way of appealing to you so that you will buy their wares. Some of the time it works – probably enough of the time to give them a reasonable income for a short period. However, most people are put off by messages which focus on what you can achieve. The reason is that we interpret those messages as “look at what I am missing out on”. Far from seeing the positive appeal of the beach-side life or the luxury home, we feel weak and negative. Research into teaching and coaching has found that behavioural change is dependant on what is called the Positive Emotional Attractor (PEA). This happens when the teacher or coach focuses on what the individual wants to achieve themselves and what they hope for. In many instances, this might not be life at the beach or a new Ferrari; it might be as simple as being able to work an hour less each day. When coaches focus on that, they get better, longer-lasting results compared with when the coaching is about aspirational factors, because people interpret these as negative. Similarly, when teachers focus on what the individual children want to achieve, rather than some national target, they get longer-lasting impact. So, rather than comparing their new supposedly inspiring lifestyle to the current humdrum of their website visitor, what would be more successful is for the Internet Marketers to find out what their visitors want to achieve and then tailor their offerings to that. But what has this all to do with the parasympathetic nervous system (PNS)? The PNS is part of our complex nervous system which does lots of automatic and background functions, many of which are involved with our digestive system. They are part of the system that give you your “gut feeling” about things. New research shows that the PNS is triggered most when people are given those Positive Emotional Attractors. This means that there is a subconscious level of understanding when we are given something that appeals to our immediate needs, rather than our long-term aspirations. Interestingly, the research also shows which areas of our brain are triggered by negative suggestions. When we perceive something as negative – such as an aspiration which we interpret as unrealistic – another part of our nervous system kicks in. 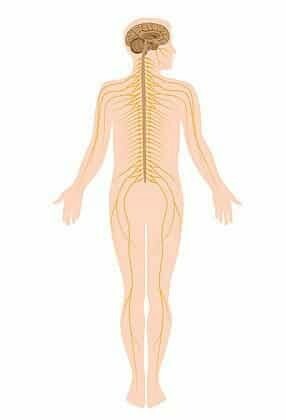 This is the Sympathetic Nervous System – the one that is connected to the “fight or flight” response. It means that as soon as we see those Internet Marketers in their loungers or by their Ferrari’s or outside their mansions, we are out of there as fast as anything. Those sites only appeal to people who are already in the state of wanting a beach-side lifestyle. If such sites were given wider appeal by focusing on specific individual needs, they would trigger the parasympethic nervous system giving people a “gut feel” of positivity. And that can’t be bad for sales.